Treatment Sports injuries by Arthroscopy (“key-hole”) is another specialization of Dr Uttam Garg. The knee joint is of particular interest to Dr Uttam Garg. He is performing arthroscopic surgery procedures on the knee including cruciate ligament reconstructions. Other joints are shoulder,ankle,elbow and wrist. 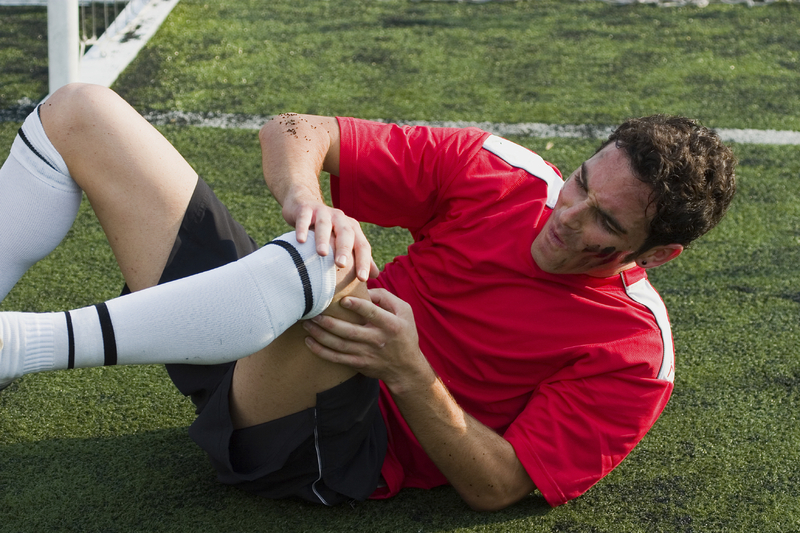 What are the types of sports injuries ? Acute injuries occur suddenly, such as sprained or fracture around joints. Chronic injuries are caused by repeated overuse of muscle groups or joints or ligaments. Poor technique and structural abnormalities can also contribute to the development of chronic injuries. What types of chronic knee injuries are there? See, In knee you can have meniscus tear or ligaments tear particularly ACL or PCL tear or Osteochondritis dessicans. How can I come to know that I am having these injuries? You will have feeling of unstability while walking or running , or your knee can be locked and get swells .Sometime you get off and on pain in your knee. What should do immediate after having sprains, strains and joint injuries? Rest – keep the injured area supported and avoid using for 48-72 hours. Ice – apply ice to the injured area for 20 minutes every two hours for the first 48-72 hours. Compression – apply a firm elastic bandage over the area, extending above and below the painful site. Referral – as soon as possible, see a qualified healthcare professional. What should not to do ? No Heat – heat will increase bleeding. No Alcohol – alcohol increases bleeding and swelling. No Running – running or exercise increases blood flow, delaying healing. No Massage – massage increases swelling and bleeding, also delaying healing. What are the treatment for sports injuries? Treatment depends on the type and severity of the injury. Always see your doctor if pain persists after a couple of days. What you may think is a straightforward sprain may actually be a fractured bone or a ligament injury. The Meniscus injury can be repaired or a cruciate ligament injury can be reconstruct using tendon graft. Even if you have a cartilage damage then it is possible to get a successful cartilage transplant and it has a very good results and can be carried out by arthroscopic means after that you can resume your sports activity as before. How can we prevent these sports injuries? Use the appropriate safety equipment, such as braces and pads. Don’t exert yourself beyond your level of fitness. Gradually increase intensity and duration of training.